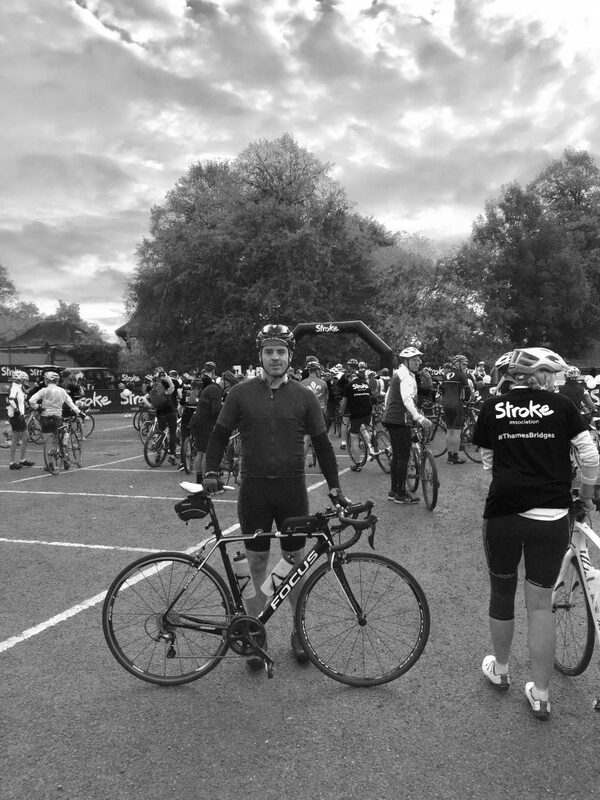 Another ride completed earlier today, in aid of Stroke – An organisation that supports stroke survivors and drives research into preventing strokes, and helping survivors to make the best recovery possible. I didn’t actually sign up to this event myself and wasn’t aware of it to be honest, but a friend had already signed up for himself but couldn’t make it due to work commitments. I have to say, I thoroughly enjoyed this relaxed event. 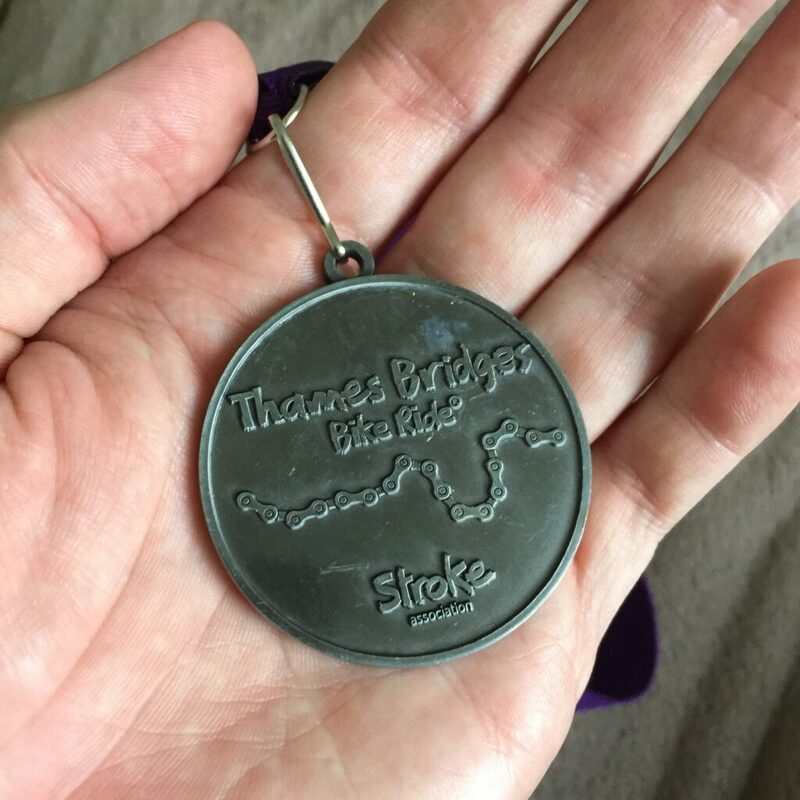 The pace was easy, the course was flat as a pancake (680~ metres of total elevation) and the staff organisers were lovely. 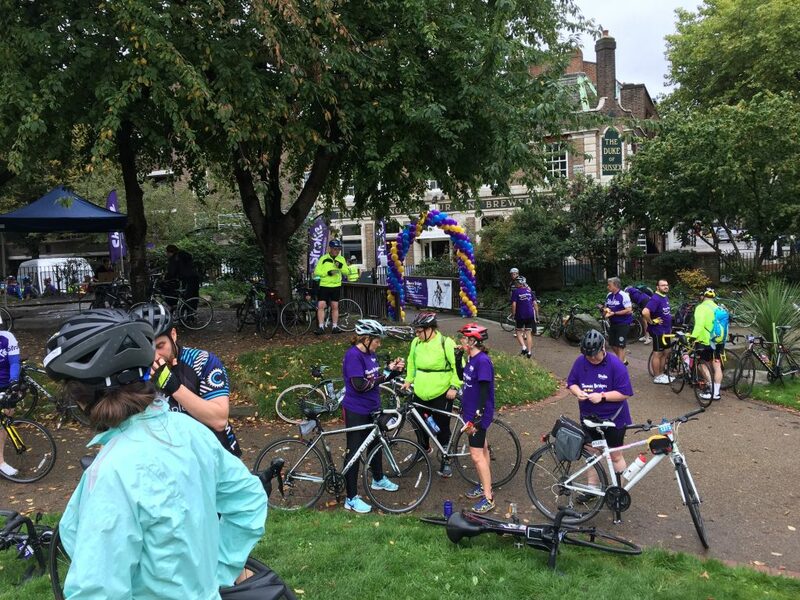 The ride starts off and ends at Kings House Sports Ground in Chiswick, with one fuel stop at Waterloo in between to stock up on goodies and water. I did have my doubts regarding how visible the road markings would be but this wasn’t a problem at all, they were clear and well placed. 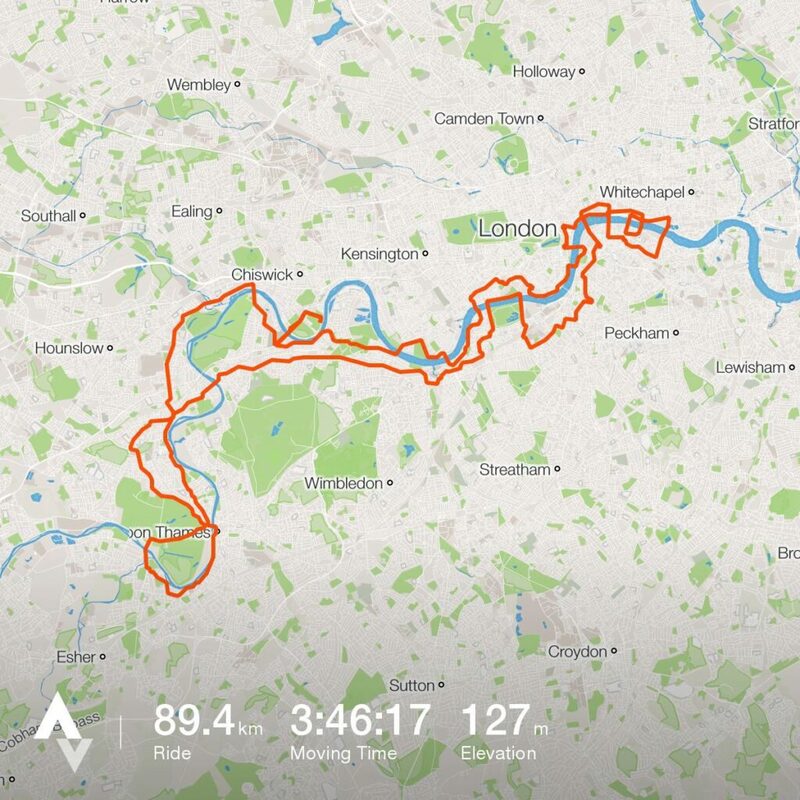 No need for the gps here. Thanks to all the organisers and fellow riders for making this one awesome day ✌.